When 80% of your business is reliant on 20% of your customers then managing them effectively comes into sharp focus. This focuses on bringing you leading edge thinking on KAM in a way you can easily apply and gain competitive advantage within this crucial area. This KAM programme helps organisations to improve their Key Account Management. Developed through our work with over 60 B2B companies, and combined with leading research into customer management, it is designed to provide you with the skills and tools you need to change static or unprofitable relationships into ones that engender growth and profit. Provides competitive advantage through new thinking with pragmatic application. Categorised into modular form – you enter the programme based on the capability and competency of your organisation. 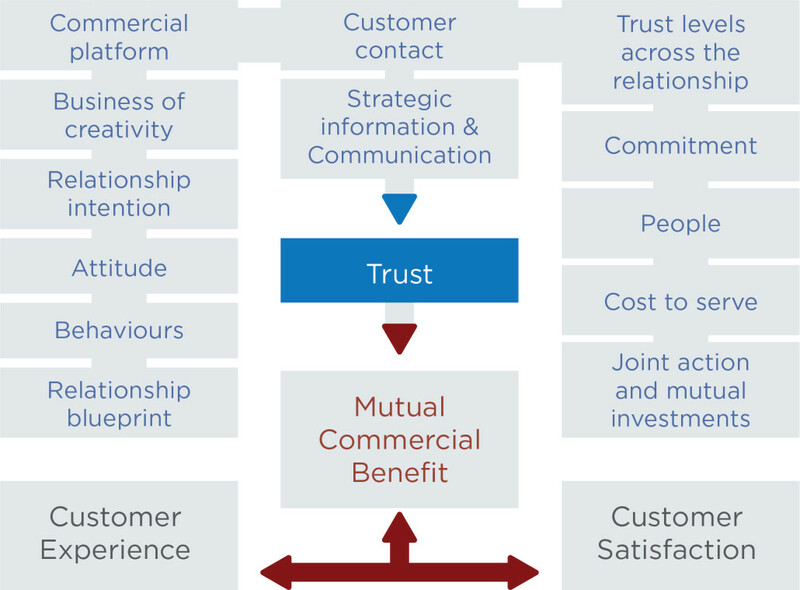 Customer Management behaviours that move the account team from ‘it’s all about the relationship’ to the wider relationship, competency and organisation. We have developed a programme architecture that allows us to shape and co-create based on your needs and current KAM approach. 1. What can I expect to cover? ‘What is your customer relationship positioning at the moment’? 2.2. Driving insight into value: “So what, do we do with the insight and understanding”? 2.5. What triggers the development of the relationship? 3. Review, re-calibrate and re-orientate. This KAM Boot Camp is designed to introduce best practice customer management to you and your organisation and embed it as the basics for the way in which you will manage your customers.